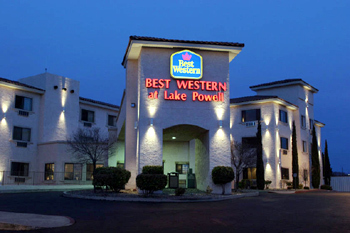 The Best Western at Lake Powell in Page, AZ is conveniently located just 2 miles from Glen Canyon Dam, Horseshoe Bend and the fabulous Lake Powell. For those who enjoy a good round of golf, Lake Powell offers a premier golf course. For convenience. Page Municipal Airport is just 2 miles away, as well. 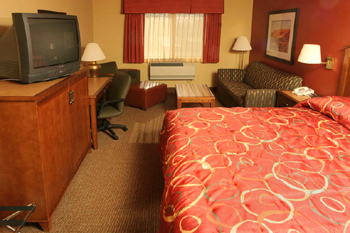 The Best Western offers a variety of amenities. These include a fitness center, an outdoor pool, an outside hot tub and a free complimentary breakfast. If business is on the agenda, there is a meeting room and high-speed internet. After a day of visiting the amazing sites Arizona has to offer, you can come back to the hotel and let the children have a swim in the pool while you sun bathe. Take the family to a nice restaurant for dinner, and afterwards, you can soak in the hot tub and just relax. For the fitness buff, there is a fitness center available with all of the modern conveniences and equipment. All of the rooms at the Best Western come equipped with television, high-speed internet, alarm clock, hairdryer, coffee maker and free local calls. Also available are roll away beds and cribs. Simply inform the staff, and they will be happy to help you. 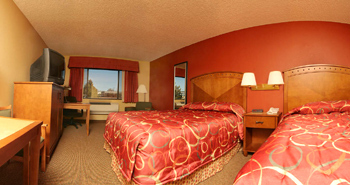 Many local bars restaurants and grocery stores are conveniently located just a short walking distance from the hotel. 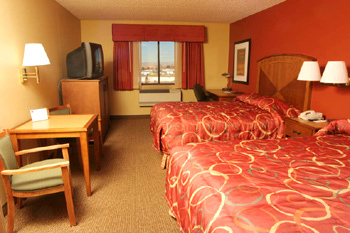 Enjoy a wonderful stay at the Best Western at Lake Powell. The scenery is breathtaking and there are amenities for every taste.